Hey, women on The Bachelor, the Galatians called. They want their hatred, discord, jealousy, fits of rage, selfish ambition, dissensions, factions and envy back. One of the producers' favorite ways to elicit drama on The Bachelor is to send the girls on group dates, and this week we effectively got double the group date drama because, in addition to the regular group date, Juan Pabs "decided" to have a pool party. I’m only exaggerating slightly when I say that group dates turn the women into the worst people ever. I think this is because group dates combine and exploit two of girls’ nastiest inclinations—the inclination to compare and compete with other girls and the inclination to seek validation from men. We witnessed Kat’s parade with JP in front of the other girls at the pool party, and Clare’s teary breakdown in the bathroom, and Sharlene’s gag-worthy kiss on the soccer field sudden insistence that she and JP have crazy chemistry. (Where was that two weeks ago?) And it all just looked like selfishness and jealousy and insecurity. And it also sort of looked like me. Because maybe I’ve never monopolized the Bachelor at a pool party, but I have my own ways of seeking attention and affirmation when I feel insecure and insufficient. Several seasons of watching and comparing The Bachelor and The Bachelorette—as well as 24 years of being a girl—have led me notice that, whereas a guy’s pursuit of a girl tends to bring out the best side of him, a girl’s pursuit of a guy tends to bring out the worst side of her. Universal Truth of the Week: When a guy goes after a girl, it's all about the girl. When a girl goes after a guy, it's also all about the girl. It's hard to watch episodes like this week's and not just see a bunch of girls hoping to be told that they are good enough. They're not trying to convince Juan Pablo that they love him; they're trying convince Juan Pablo that he loves them, and they're trying to convince themselves that he loves them. And, if I am any indication, I think all girls have done that at one point or another—or maybe even do it on a regular basis. When my roomies and I finished this week's episode, I was like, "Y'all. Um, I think this week's UTOTW needs to be that girls are cray and we all need Jesus." And, at the risk of turning this entire blog series into one big Jesus Juke, I feel the need to assert that, yes, undoubtedly, girls are cray, and we all need Jesus, and this episode was evidence if I ever saw it. He is a former pro soccer player. He is a good dad. He is willing to make out with multiple women in rapid succession. The researchers — er, women — in the house no doubt consider that last point an outlier anomalous to their data set and, as a result, have thrown it out to preserve the usefulness of their findings. That it to say, I assume they are ignoring this fact because it doesn't fit with their otherwise rosy perceptions of Juan Pablo. People who don't regularly watch this show tend to ask the same question when they see the commercials or catch part of an episode (especially one of these early episodes): "How do all of the women know that they like him?" Allow me to explain a little concept that we graphic designers like to call the Law of Closure. (I say "we graphic designers" to create the illusion that I frequently chat with other designers about Gestalt Principles. In actuality, I just learned about this in a design class one time, and it stuck with me.) So this law basically posits that when your brain perceives an incomplete shape, it will automatically fill in the missing pieces in order to make sense of it. So, ask me again, how do all the women know that they like him? Easy. They know that they like him because they don't know him at all. They see bits and pieces, and they just make up the rest. He becomes whatever they imagine him to be. It's the Law of Closure on a different level. But whereas our eyes can be mostly trusted to perceive and complete things accurately, our hearts most definitely cannot. Our hearts see what they want to see. This leads us to our second UTOTW. Universal Truth of the Week: Any man can be your dream man if you basically just make up his personality in your brain. I know this is true because crushing on strangers is one of my myriad talents. I will never live down the time that my froomies Bekah and Melissa were questioning me about a certain severe crush I'd developed on a guy that I barely knew, and I — in an attempt to defend myself — blurted out, "Look, all I know is that he's cute, and he loves Jesus, and my heart filled in the rest." My heart filled in the rest!? Apparently so. I didn't even realize how ridiculous that was until I heard it come out of my mouth. I know because I made up your personality in my brain. C.S. Lewis once said, "We watch The Bachelor to know we are not alone." No, wait, he said that about reading, I think, but it's basically the same principle. To know we are not alone, all we must do is tune into ABC on Mondays at 8/7c. There we watch heartbreaks and awkward first dates and obsessive crushes played out on the TV screen, and we know that other people are just like us. Sometimes people ask me why I like The Bachelor, and I consider this question both completely legitimate and completely impossible to answer. The whole show is a mixture of the boy-girl dynamics of elementary school + the crushes of middle school + the heartbreaks of high school. Throw in the sting of rejection and the complete weirdness that is dating, and I just can't look away. And that— that is why I like it. I feel empathetic and vindicated when I watch it. 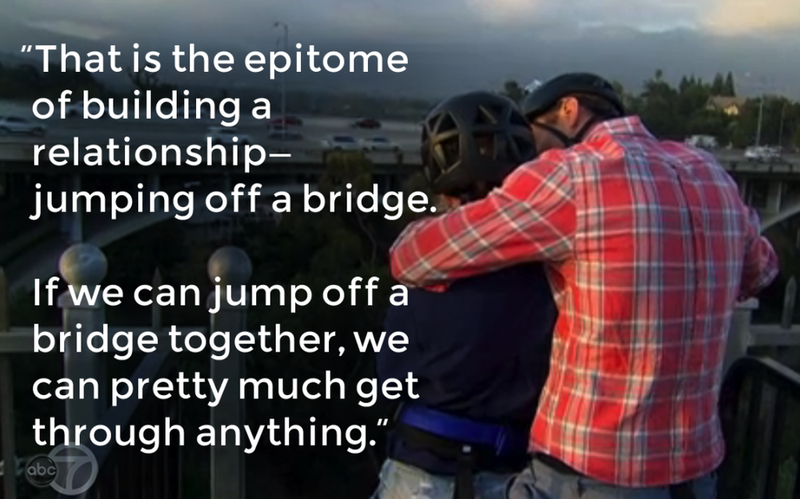 The Bachelor, in all its ridiculousness, somehow manages to capture and convey various universal truths of dating and guy-girl relationships. Yeah, I said it. UNIVERSAL TRUTHS. ON THE BACHELOR. I've decided that, this season, instead of just keeping these truths to myself, I will blog about them. Each week I will share at least one universal truth gleaned from the most recent episode. There’s so much drama on this couch. 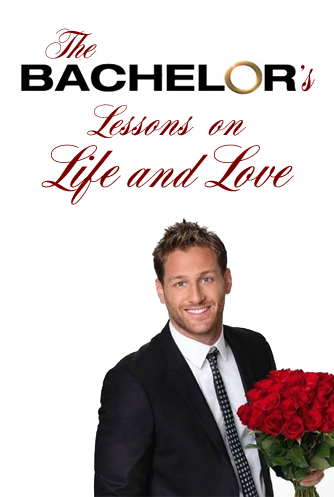 Juan Pablo met 27 ladies this week, and 26 of them wanted to marry him right off the bat. One even showed up with a fake baby bump under her dress to demonstrate how cute she would look as his future wife and baby mama. I wanted to be like, Look, sister—can I call you sister?—tone it down. Just because you're imagining yourself as the mother of his children doesn't mean he needs to know you're imagining yourself as the mother of his children. Take it from someone who knows. And OF COURSE he gave the first impression rose to the one girl who told the cameras, "If I'm being 100% honest, I wasn't quite feeling the insta-chemistry I expected." Which leads us to our first UTOTW. Universal Truth of the Week: If 26 women in a room are crushing on a guy and one woman isn't, he will go for the one who isn't. I learned this the hard way in third grade. Tune in next week for more Lessons on Life & Love from Juan Pabs!